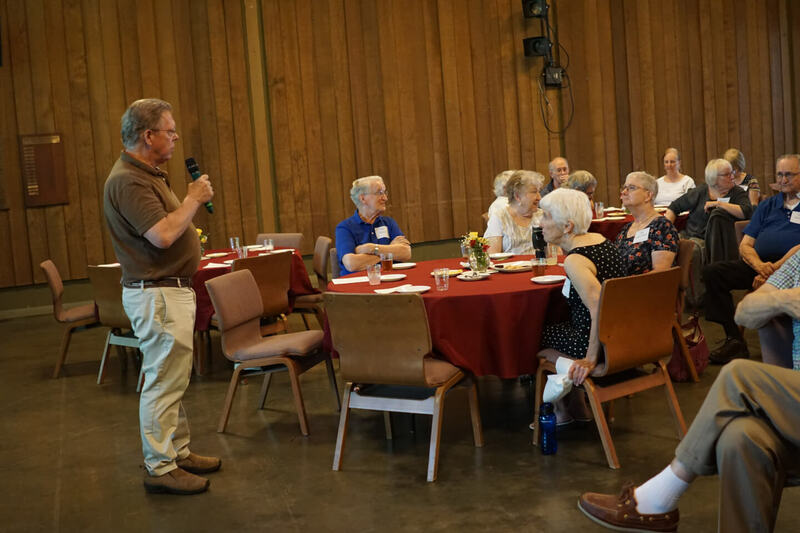 On August 22, the Lay Pastoral Ministry Team hosted a special tea (including lemonade and cookies) to honor long-time members of our congregation. It was also an opportunity for them to meet our new minister, Rev. Dr. Stephen H. Furrer. The Sanctuary was dressed up to welcome approximately 50 guests, some who had not been at the church for several years. Barb Clagett played lovely piano music in the background, while early church photos were shown on the screen. Much interest was also shown in the archival display set up at the back of the Sanctuary. After Rev. Steve spoke briefly, our guests were asked to introduce themselves and to mention something they wished to tell him. 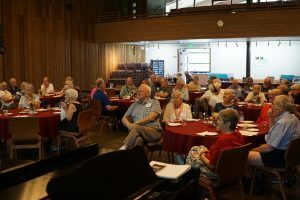 It was a rich sharing of stories and history among the elders who were able to attend. This very pleasant event was well received and much appreciated.